Softball coach Lenny Rizzuto marvels at her consistency and excellence. 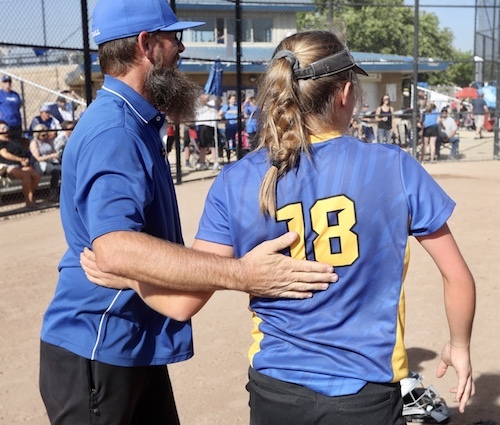 Assistant coach Steve de Graaf, her father, is most proud of her emotional maturity and compassion for her teammates. As for the opposition, like Waterford High’s Donnie Donaldson, game recognizes game. 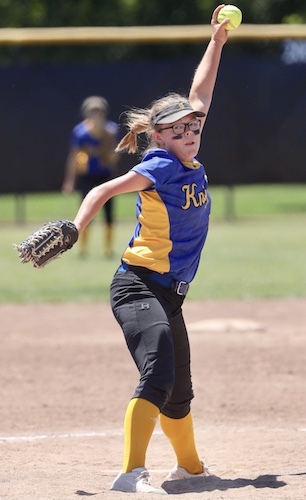 From inside the chalked circle or the batter’s box, there isn’t anything Ripon Christian junior Madison de Graaf can’t do — and hasn’t already done. 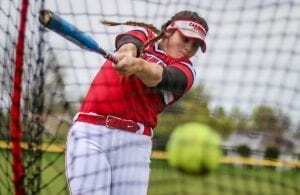 Now in her third season at the varsity level, de Graaf is a two-time Sac-Joaquin Section champion with a bullet-proof resume. She has won 79 percent of her starts and is hitting .402 with a chance to collect her 100th career hit this season. In an area rich with talent, de Graaf, a multi-sport athlete, deserves a seat at the table. “You would never know it,” said Donaldson, whose team went 0-2 against de Graaf last spring. “You see her pitch like that, but she moves the ball well, and if you hit the ball back to her, she still makes the play. Well, de Graaf isn’t like you or me. 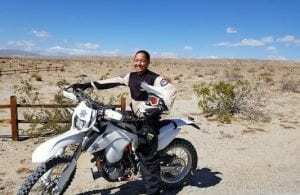 According to officials at Shriners Hospital for Children in Sacramento, during the time of her diagnosis, de Graaf was the only known patient born without an elbow in just one of her arms. 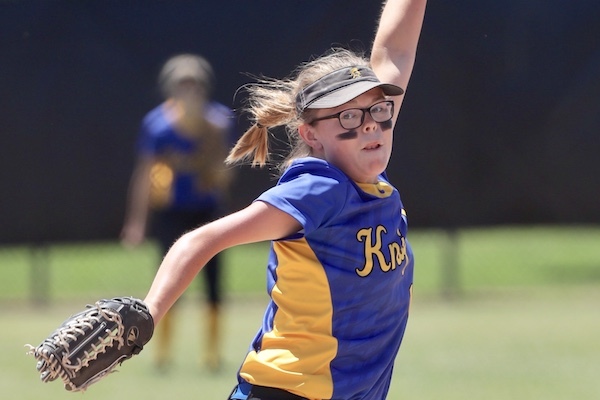 She is missing the elbow in her right arm — her non-throwing arm — though it took a few months to diagnose the condition. Her mother, Melinda, noticed the irregularity while changing the then-3-month-old de Graaf during a family vacation. As he made his way to the bedroom, Steve said his thoughts were elsewhere and nowhere at all — dirty diaper, rash, normal issues that beset young parents. Soon, he understood the severity of the discovery. His daughter was missing a part. Her bone is solid, from shoulder to wrist, with a slight bend. Today, the arm is about five inches shorter than the left and dramatically underdeveloped. Without an elbow, de Graaf cannot isolate the muscles in the upper arm. Madison, right, high-fives teammate Ariana Arias after scoring a run during the Div. VII final. What followed was a series of hospital visits. The de Graaf family visited Stanford and later sought answers at Shriners Hospital for Children in Sacramento. They learned of a similar case — a patient born without both elbows. To the best of their knowledge, de Graaf was truly a unique case. Her parents were faced with a quality-of-life decision for their toddler: Do they have her arm broken and reset at an angle to help with function? Or let her learn to live with the condition? Sitting amongst children with grave illnesses and serious disabilities, the de Graafs took heed of the juxtaposition in that hospital room. Their daughter was healthy and happy, crawling about the room minus only an elbow, while there were some who fought greater battles. Madison holds up the Div. 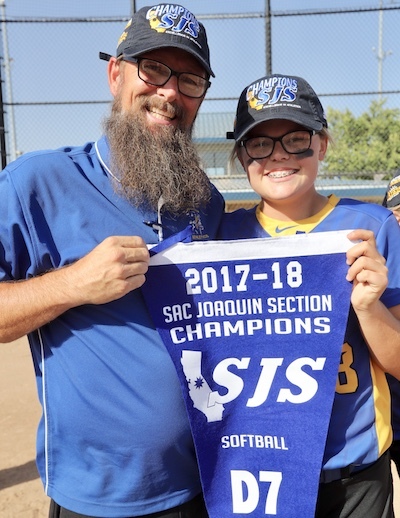 VII championship banner with her dad and Ripon Christian assistant coach, Steve de Graaf. De Graaf is a curious talent. She possesses the ability to be a magnetic superstar, but prefers the anonymity of the crowd. If given the choice between the spotlight or the shadow, her father says she’d pick the latter. However, because of her prowess on the diamond, she’s often cast as the lead. 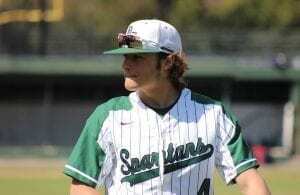 De Graaf is 38-10 in two-plus seasons with 321 strikeouts in 331 innings. She has committed just 15 errors in 150 chances, and she’s coming off a junior season in which she hit .433 with 30 RBI and 36 runs. Ripon Christian is one of three teams in the region looking to three-peat this spring, joining Sierra and Escalon. 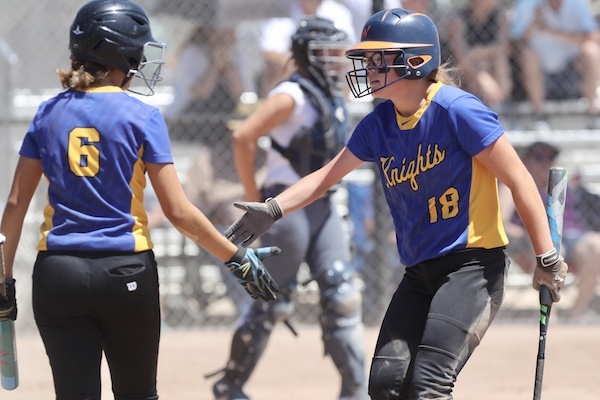 The Knights have rocketed to a 7-3 start through March 26, picking up wins over Chavez-Stockton and Tokay-Lodi. The strong start is more impressive when considering the early adversity faced on the left side of the diamond. Third baseman Nicole Chapman (shoulder) and shortstop Rylie Nunes (ACL) have suffered season-ending injuries. Father and daughter take in the championship moment. She is 5-2 with a 3.95 ERA and 49 strikeouts in 49.2 innings. She’s helped herself by hitting .485 with 16 hits and 14 RBI in 10 games. In a 3-0 victory over Chavez, a larger school, de Graaf was 3-for-4 and struck out a career-high 11 batters while twirling a one-hit shutout. De Graaf can do all things on the diamond, except for one: She has yet to master the ponytail. Her right arm simply cannot reach. “She laughs about it,” Steve de Graaf said. “She knows God gave her a unique opportunity and something to work with, and so she has. She owns it. She knows there are things she can’t do and she works harder at them. 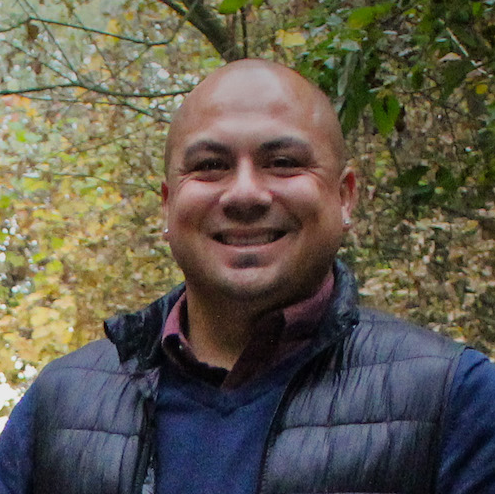 James Burns is an award-winning journalist with FrontRowPreps.com, a digital media company that covers the southern half of the Sac-Joaquin Section. Follow him on Twitter @jburns1980 or email him at frontrowpreps@gmail.com.